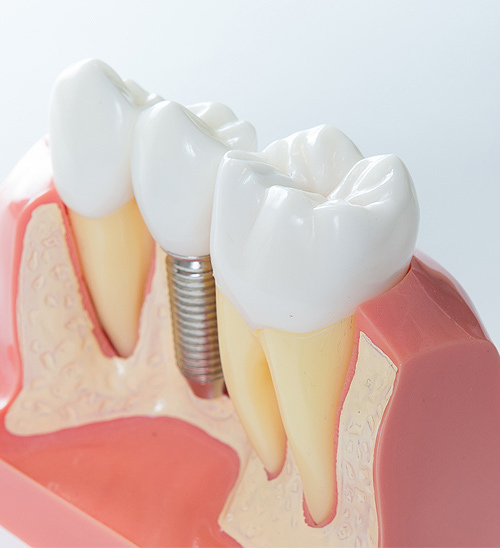 Dental implants are to replace a missing tooth or teeth. An implant consists of a titanium rod, which is placed directly into the jaw bone and acts as a replacement for the root portion of the natural tooth. The implant is made using pure titanium, which allows new bone cells to grow around it: the implant then integrates with the newly formed bone which firmly locks it into place.